Rainbow Six Siege is getting a mid-season balance patch, somewhat grandiosely titled ‘Reinforcements’. It goes live today and makes a pretty wide-ranging number of tweaks and bug fixes. Major changes include the addition of Bartlett University to PvP and a big buff to Tachanka. Rainbow Six Siege made our list of the best FPS games on PC. ‘Reinforcements’ was announced on the Rainbow Six blog on Ubisoft’s website, beneath a frankly disturbing photo of an over-muscled human glaring at the reader from inside a welding helmet. Don’t be alarmed; this is just Tachanka, the weakest and least-picked operator in the game. He’s getting a buff. 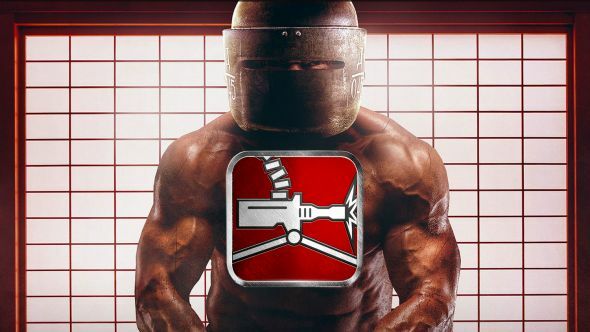 Tachanka’s gadget is a deployable machine gun, but according to Siege’s designers, “the tradeoff between his turret’s stopping power and his lack of mobility isn’t good enough.” To counteract Tachanka’s vulnerability while the turret is deployed, he now gets a shield to protect against frontal headshots. The other major announcement is that Bartlett University has been redesigned for PvP and will be available to play as of today. The gas and PvE elements have been removed, and better, two-layered destruction has been added. Then there’s a long list of balance changes and tweaks. Shields can now resist directional damage from explosions in a general buff to shield operators, and the way grenades destroy terrain has been tweaked to make them more consistent. Some specific operators have also been adjusted. Blackbeard gets knocked back into his role a bit, with nerfs to his shield hit points, ADS speed and ADS from sprint speed. Fuze gets another cluster charge, his sub-grenades get a larger radius, and Bandit gets a fourth battery. Those are the headlines, but if you’d like to read about every last change, the full notes are available at theblog post. It’s a good time to be a Siege player, with a second year of DLC confirmed and the game’s community at ten million and counting.